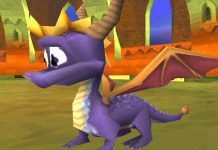 I’m not a massive fan of platform games, as a rule. And yet, Super Lucky’s Tale kept me hooked from start to finish. I’ve been playing Super Mario Odyssey and Super Lucky’s Tale concurrently, and during the times I was trying to slog through Mario (sorry, fans) I found myself thinking, “I’d rather be playing Super Lucky’s Tale“. There’s just something about it. It’s a perfectly-proportioned package, headed up with an impossibly cute hero and four gorgeously designed worlds that are surprisingly original. In a year where we’ve seen a resurgence of 3D platformers, Super Lucky’s Tale certainly deserves to be regarded as one of the best. 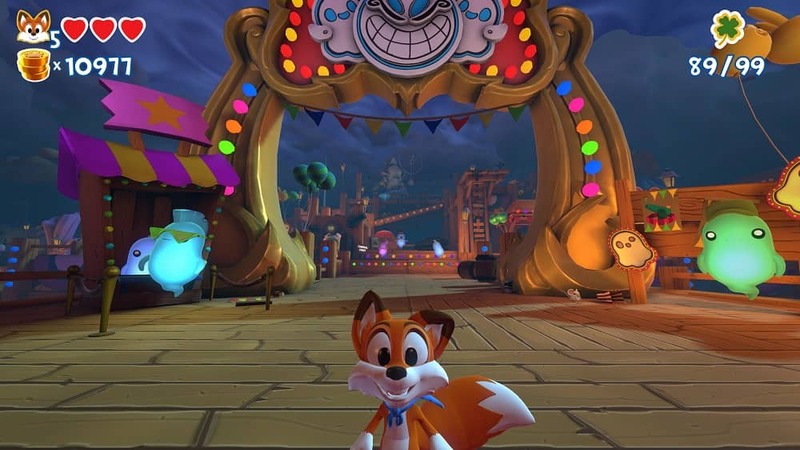 There’s a basic narrative to weave Super Lucky’s Tale together, but it isn’t exactly necessary. As Lucky, you’re on a quest to save your sister from the clutches of the evil Jinx — a cat who’s hellbent on taking over the world (as all good cats are). To do so, he needs to rescue the Book of Ages from Jinx’s evil paws by entering each of its four chapters to help the inhabitants inside them. Yeah, it’s a little wishy-washy, but it’s simply there to progress the game forward. 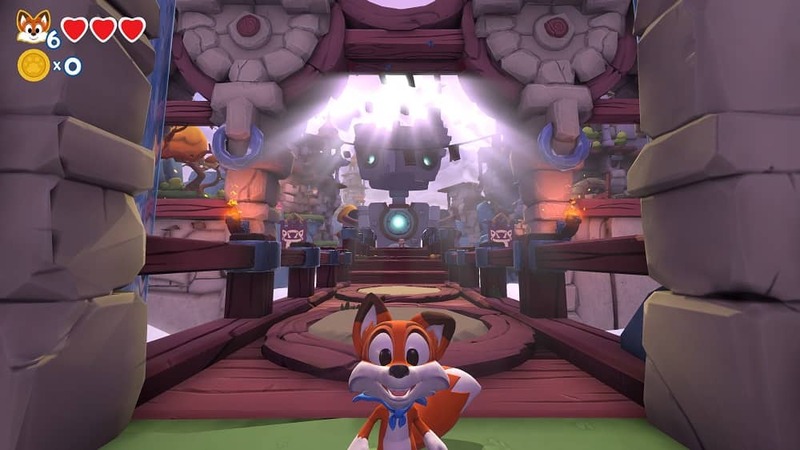 It’s the gameplay and design where Super Lucky’s Tale shines. Honestly, it’s an absolute treat to look at. Whether you play on a regular Xbox One, an Xbox One X or PC, the visuals are superb. The extra power afforded by Xbox One X or PC doesn’t make a great deal of difference though — it’s always crisp, sharp and responsive. It’s hard not to be won over by the art style, which manages to be detailed yet simple. Bold colours, cute characters and well-thought out levels make the world of Super Lucky’s Tale an absolute pleasure to explore. 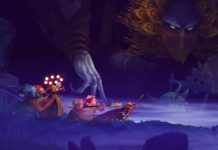 Each of the game’s four worlds is presented with its own hub, where each individual level can be accessed. The hubs are almost levels themselves, with coins to collect and some basic platforming required to reach new areas. Each hub has around five main levels, and a number of additional puzzles to complete, all in the name of rewarding you with clovers. The levels each have four clovers to find — one for completing the level, one for collecting 300 coins, one for finding the five letters that spell “LUCKY”, and one ‘secret’, which is usually in a hidden area of the level, or by completing a short time challenge. You’ll be required to have so many clovers before you can progress through the game as each world’s boss is gated off until you have the correct amount. It’s never a slog to collect them, though. Finding the clovers feels like the aim of each level, as it should, rather than simply running to the end. Many times, you’ll easily find them without too much extra effort anyway; there was only a handful of levels I had to go back to in order to find a missing letter or grab a few extra coins. The levels themselves are – mostly – a delight. 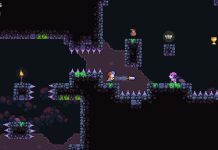 There’s a nice range of things to do, with each world having at least one 2D side-scrolling level. 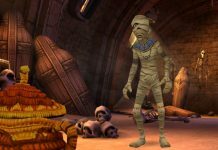 Even the 3D levels are varied — while some are simply a case of getting from A to B, others require you to complete a little mission: fix the speakers for a country and western gig, for example, or a save a cute wee ghoul who’s been surrounded by some nasty ghosties. 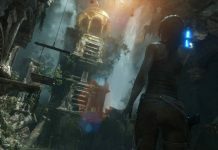 No level is particularly long, taking 10 to 15 minutes to complete, and the variety on offer means everything feels fresh and never boring, even when environments may look similar. A highlight for me, though, is the mini puzzles that each world has. Worlds one and three have a series of logic brainteasers —Sokoban style pushing puzzles that require you to move a number of fox statues into the right location around a path. 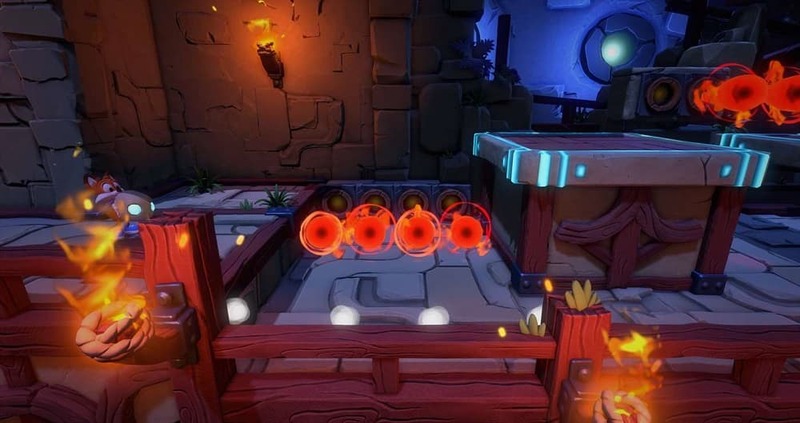 There are ten or so of these across both of those worlds, and while they start off very easy, they offer a nice change of pace to the rest of the platforming action. Worlds two and four have ‘Marble Madness’ style puzzles, where a tiny marble version of Lucky must be guided around a maze in order to collect all the coins and avoid peril. The only thing that really annoyed me about Super Lucky’s Tale was the coins. Coins are an intrinsic part of the game — you need to collect them in every level, after all — and the game gives you an overall counter. I had over 10,000 when I finished the game. But seemingly, they do nothing. There’s no “maximum” number to collect, because you can replay levels, and coins in the hub worlds constantly respawn. There is nothing to spend them on, either. It feels entirely redundant. Being able to use the money to buy health upgrades for Lucky – or even arbitrary things like outfits, or items for each hub world – would at least give the coin collectathon some purpose. It’s a minor complaint, though. It’s hard to fault much else about Super Lucky’s Tale, even its annoyingly hard final boss. The difficulty always feels fair, and the game never feels like it’s working against you. 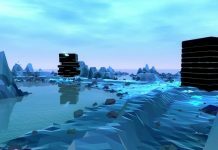 The camera angle never feels particularly egregious, as it often does in a 3D platformer, and the controls are perfectly tight and balanced – when you jump, you land exactly where you expect – and floating platforms are easy to judge. It’s a shame then, that Super Lucky’s Tale will forever remain in the shadow of Super Mario Odyssey in the 3D platforming stakes. It’s cute, well-made and fun to play. Just because Lucky isn’t a plumber in blue dungarees doesn’t mean he isn’t worth your time. Give the little fox a chance, and you’ll likely be impressed with what you find. 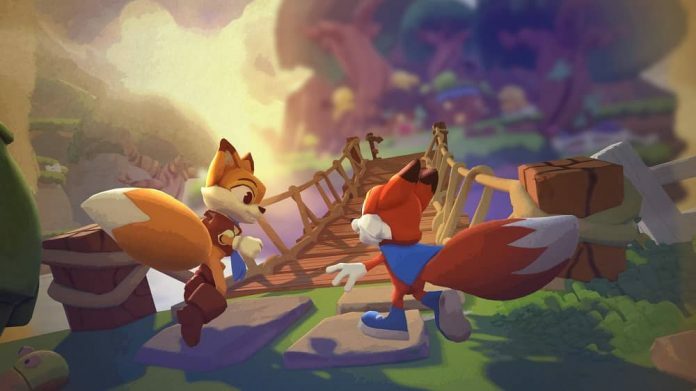 Super Lucky’s Tale is available on Xbox One and PC. This review is based on the PC version.